Disruption in the electricity market is afoot as more California neighborhoods move away from big companies to locally owned power providers. This model, known as Community Choice Aggregation, appeals to customers interested in cleaner, more affordable power, and the break up of utility monopolies. A CCA trade group estimates that by 2020 more than half of California's residents will be served by a CCA. Currently, there are 13 active CCAs in the state. More than 80 California cities are in the process of considering, or forming, a CCA. Local, green electricity-on-the-cheap faces its own battles, however. Skeptics worry CCAs do little to nothing to reduce overall green-house gas emissions. Some caution CCAs may be stifling investment in clean power infrastructure by taking customers away from traditional utilities. A state law passed in 2002 allowed the formation of these locally-owned agencies. In the North Bay, Marin Clean Energy was the first CCA to purchase electricity on behalf of its residents. 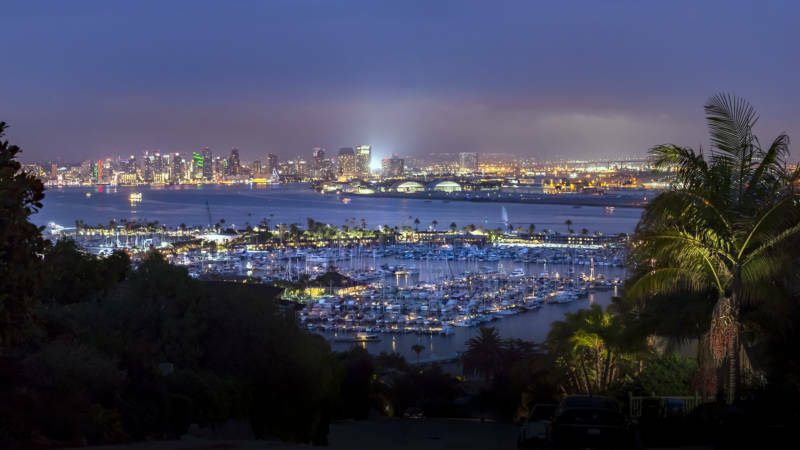 Some traditional investor-owned utilities, such as Pacific Gas and Electric Co., have put a positive spin on the movement, painting a rosy picture of a collaborative synergy with CCAs, rather than a threat to their business model. "We respect the energy choices that are available to customers and we will continue to cooperate with local governments as they develop these CCA programs," says Paul Doherty, spokesperson at PG&E, which serves central and northern California. Under the setup, PG&E provides billing, transmission, and distribution services for CCA customers. The only thing a CCA does is select its energy portfolio and then sell energy to customers. 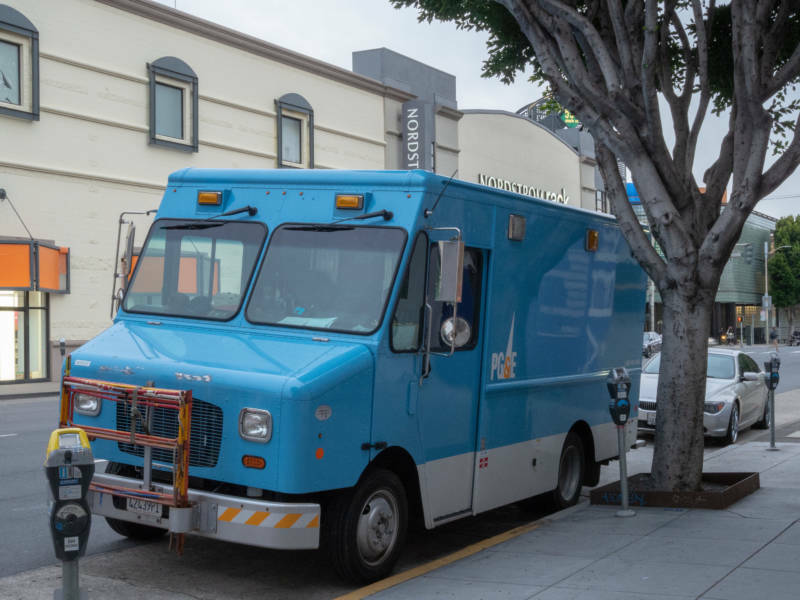 "We view [PG&E] as a partner," says Annie Henderson, the spokesperson at East Bay Community Energy, which is rolling out services in June for Alameda County and eleven of its cities. But California energy analysts say those talking points belie a more complicated, if not delicate, relationship. Utilities are not willing to let their customers go without a fight. PG&E and other traditional utilities are engaged in a contentious dispute with CCAs over "exit fees." These fees are the cost utilities want to recoup each month from CCA customers for power projects they invested on behalf of those customers. “The assumption was that those customers would stay in our service territory, and that we would need to serve them,” PG&E Senior Vice President Steven Malnight told state senators last year during a hearing on the matter. "Today, we know that reality is significantly different." 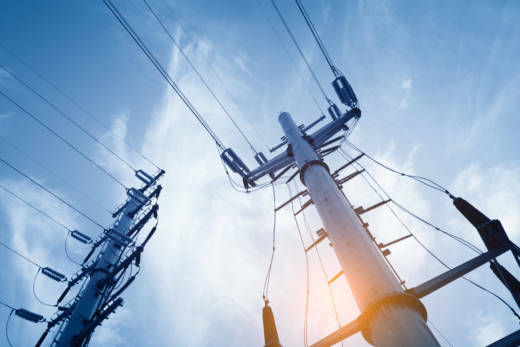 In April, PG&E and two other energy companies submitted a joint filing to the California Public Utilities Commission proposing a new mechanism for calculating the fee, known as the Power Charge Indifference Adjustment, that would serve to raise the cost. CPUC is currently overseeing the issue in a series of hearings and is expected to submit a ruling in July. CCAs and other community advocates have strongly come out against the proposal arguing that it threatens to make CCAs less affordable. However, allowing CCA customers to walk away from investments made on their behalf risks disproportionately punishing remaining utility customers, says Severin Borenstein, energy policy expert at UC Berkeley. "PG&E has argued, and I think there is something to this and so does the PUC, that this [exit] fee was set too low," says Borenstein. When customers depart the CCA should pay for their share of contracts, he says. "And CCAs have completely rejected that." But community advocates say customers shouldn't be on the hook for risky business choices made by shareholder-owned companies. "They may be called public utilities but it's a misnomer because they operate for profit and not for the benefit of the public," says April Rose Maurath Sommer, whose nonprofit Protect Our Communities Foundation, provided testimony at a recent PUC hearing. She says that shareholders should bare the burden of poor management decisions. Those decisions include over-procuring electricity which has led to a costly power glut in the state. A 2017 report by the Los Angeles Times found that state regulators continued approving the opening of new power plants even as electricity consumption in the state decreased. As a result, these power plants will produce at least 21 percent more electricity than California needs by 2020, according to the LA Times. But that hasn’t translated to lower costs for residents, who pay among the highest rates in the nation. While electricity consumption in California has decreased by 2.6 percent since 2008, the LA Times says that customers are still paying $6.8 billion more for power than they did then. Customers are paying nearly double the amount of what the rest of the country pays in order to cover the costs of these power plants. And that's likely to continue for the near future. Customers will contribute "many billions of dollars" because regulators approved higher rates to compensate utilities for reckless investments, according to the LA Times. PG&E in particular fought hard in 2010 to secure approval for the Colusa power plant, an investment that will cost its customers more than $700 million over the plant’s lifespan. The plant has operated “far below capacity” since launching, reports the LA Times. At the same 2017 hearing in Sacramento, comments made by regulators suggest that the California Public Utilities Commission is not equipped to deal with these challenges. A CPUC report issued on Thursday explored the recent developments in the energy market and attempts to outline the main challenges. The aim of the report is to “jumpstart a conversation" and to provide guidance for policymakers, according to the accompanying press release. CCAs, however, take issue with the report's characterizations of the changing energy landscape. “Highly regulated locally controlled CCAs were designed to help correct the problems from the energy crisis and they are performing as intended – delivering reliable, affordable and clean energy to local customers, while exceeding the state’s GHG goals,” said Beth Vaughan, the executive director of CalCCA, a trade association that represents the interests of CCAs. Along with affordability, many customers enrolling in community choice programs are expecting a different, greener type of energy than what the incumbent utilities have offered. But experts say so far the actual numbers don't reflect a significant difference. PG&E obtains nearly 80 percent of its electricity from carbon free resources while 33 percent comes from renewable sources. By comparison, homes covered by EBCE will be powered by 85 percent carbon-free power and at least 38 percent renewable energy. 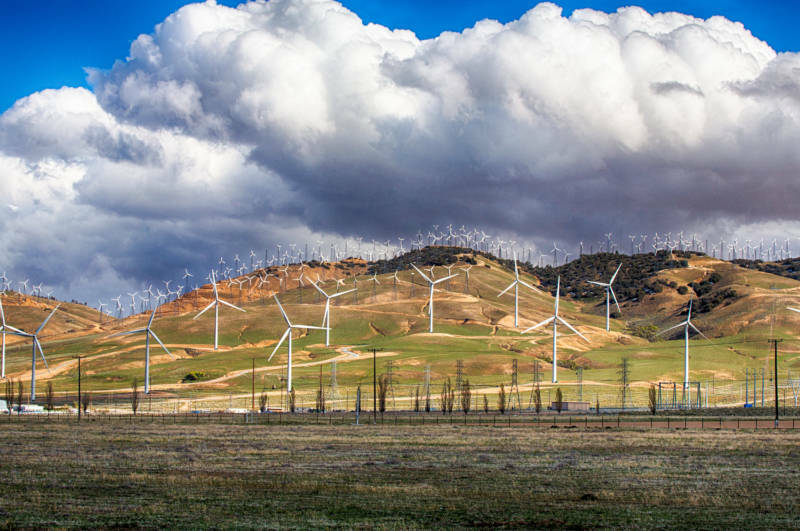 Commercial customers in Albany and Hayward will be powered by 100 percent carbon-free power at the same rate as PG&E. "I think in general the difference isn’t all that huge," says Borenstein. "PG&E is offering an extremely green portfolio." Additionally, questions remain over where CCAs are procuring their energy from and whether their entry into the market will help reduce overall greenhouse emissions. If CCAs are simply obtaining electricity from the existing grid rather than generating new energy, then that purchase has not actually increased the total amount of green power. According to Borenstein, it's simply "reshuffling" what's already out there. CCAs have been under a lot of pressure to ensure that the electricity they provide is actually creating cleaner power, he says. "Merely buying renewable energy doesn’t necessarily mean that the purchase is increasing the total amount of renewable energy on the grid, or decreasing greenhouse gases," says Borenstein. CCAs would need to invest in the requisite infrastructure allowing them to produce renewable energy. But critics say that CCAs don't have the financial standing needed to invest in such projects. “Right now, none of the CCAs have a credit rating and the first rule of business is ‘credit is fundamental to doing business,’” Jan Smutny-Jones, CEO of the Independent Energy Producers Association, told industry publication Utility Dive. But Borenstein says that CCAs have increasingly become more sensitive to this. "At first they were doing things that customers would have found disappointing." It remains unclear where EBCE will be purchasing its electricity from. According to their website, "The power portfolio is currently under development, but the intent is to purchase as much electricity as possible from sources located in California at prices that remain competitive with PG&E. " For some however, the challenges CCAs may stumble on as they get off the ground are worth the trade-off if it means breaking a monopoly. "With community choice aggregation, now people can choose between locally controlled retail energy or Pacific Gas and Electric," says James Sweeney, management science and engineering professor at Stanford University. "So the first step is about local control." Despite the challenges CCAs may face as they get off the ground, Borenstein says that opening up California's electricity market to retail competition is likely to benefit the average Californians in the long-term.